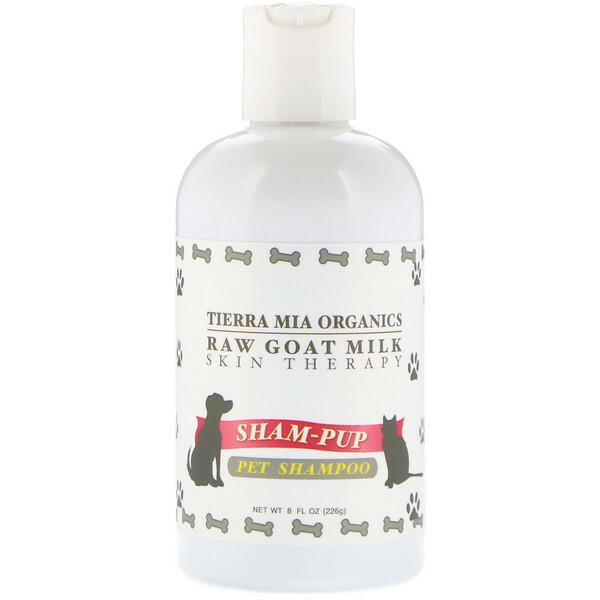 Tierra Mia Organics Sham-pup Pet Shampoo is the world's gentlest shampoo! The world can be a scary place filled with harmful things, but you'll find none of those things here. Made with fresh goat milk and a careful selection of organic oils to soothe, dry, itchy distressed skin. 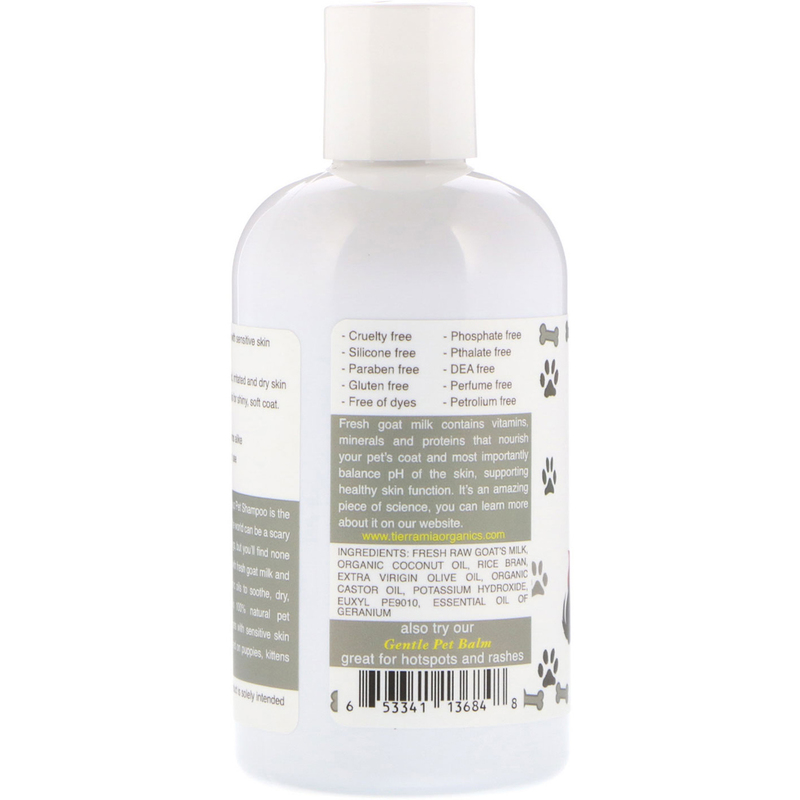 This 100% natural pet shampoo was created for pets with sensitive skin and gentle enough to be used on puppies, kittens and most furry friends alike. Fresh goat milk contains vitamins, minerals and proteins that nourish your pet's coat and most importantly balance pH of the skin, supporting healthy skin function. It's an amazing piece of science. 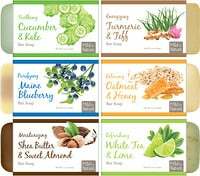 Fresh raw goat's milk, organic coconut oil, rice bran, extra virgin olive oil, organic castor oil, potassium hydroxide, euxyl pe9010, essential oil of geranium. Avoid contact with eyes. Product is solely intended for use on coat and skin.